Please see the document below for the boys rosters. Boys selected to a team, can register at the link below for summer. Players selected should register at the link below by April 1. Boys youth summer elite tryouts are 2 days. Note the times for each day below. Players are required to be at 1 tryout and highly encouraged to attend both days. 135 Coaches with over 1,500 years of coaching and playing experience. NH Tomahawks boys summer elite players are from over 100 towns! In 2018, New England Lacrosse Journal ranked the Top 100 High School Lacrosse Players in New England. 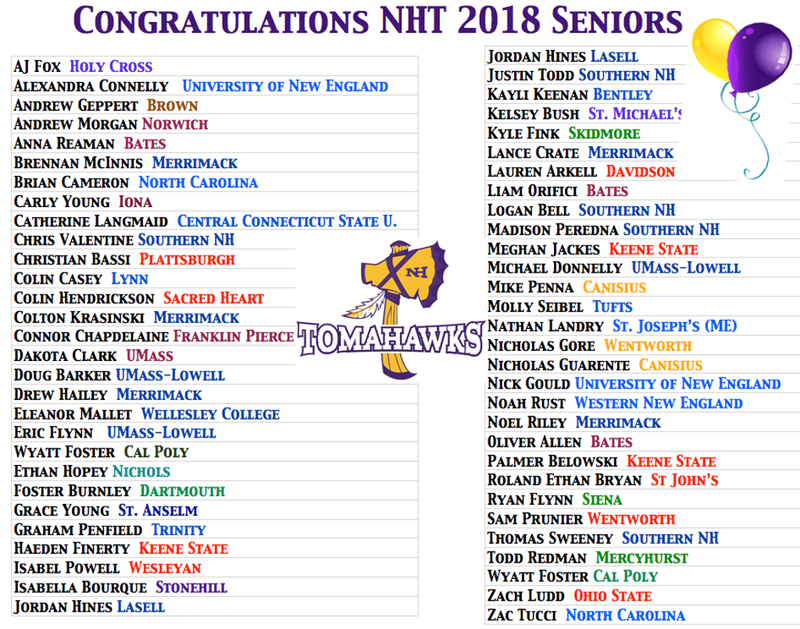 26 New Hampshire players made the list and 25 of the 26 are NH Tomahawk players. In the last 12 years, 91 out of the 98 New Hampshire All Americans were NH Tomahawk players! NH Tomahawks goal is to find the best academic and athletic fit for each NHT player. NH Tomahawks has dedicated recruiting directors to help navigate and assist in the recruiting process. In addition, all high school players will have access to the use of recruiting software that will allow players to take charge of their recruiting and allow our staff to assist in the process. Players will also have access to NH Tomahawks recruiting seminars that help educate, simplify and provide focus on what players can expect as well as timelines and associated actions. NH Tomahawks has a large base of outstanding coaches that include current Varsity High School Coaches and College Coaches. Our founding coaches Chris Cameron (Bishop Guertin Varsity Coach and New England Under Armour Head Coach); Coaching Coordinator, Rick Senatore, (Franklin Pierce University & formerly Saint Anselm College, 3-time NE10 Coach of the Year) and Chris Hettler (Derryfield Varsity Coach, current Assistant Coach for the Germany National Team and former Assistant Coach for the England National Team) are eager to share their knowledge, passion and love of the game with NH Tomahawks players. NH Tomahawks Coaching Staff is over 50 coaches including sixteen High School Varsity boys coaches, among them, those who have won multiple NHIAA Division 1, 2 and 3 Coach of the Year awards and have over 200 combined years of college playing experience! 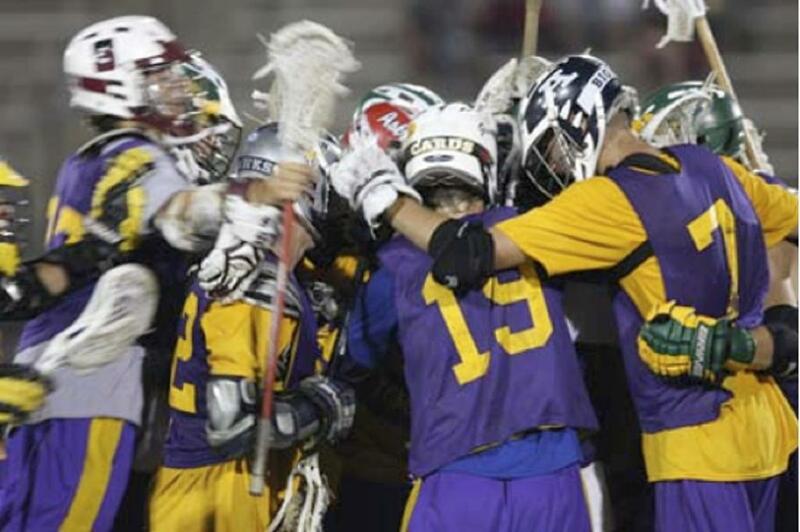 We select the best coaches who have years of coaching experience because we understand that just having accolades and a passion for lacrosse does not always translate into good coaching. We know that good coaches must have the ability to teach. To that end, our coaches are not only experienced coaches, many are teachers by profession! Some people may know that our founding coaches, Chris Cameron, Rick Senatore and Chris Hettler also founded and still run Granite State Lacrosse Camps! NH Tomahawks is excited about our partnership with Velocity Hub! Our goal is to support the development of our student-athletes throughLeadership, Academics, Athletics and EXperience (LAAX) In effort to support our vision to Develop Whole Student-Athletes, we have partnered with Velocity Hub to build a Unique Leadership Academy for the NH Tomahawks Program. This is all part of our overall vision for players to "Be Your Best" on and off the field. We believe that leadership qualities combined with our elite training will develop our players and position them well for recruiting and provide positive life skills.